In all of our content we encourage readers to understand that there is no such thing as free traffic. The bottom line is, traffic costs either time or money. Most often it is more expensive to chase free traffic. But if you are looking to generate traffic without spending money then Facebook combined with highly viral content and you tube videos is where you should start. Social Media Traffic, especially Facebook and Youtube are extremely high quality types of traffic if you can harness them properly. This question is often asked by online marketers who are unconvinced or undecided about the profitability of these social networking websites. Social media makes it easier for stories and videos to go viral, since people share information with the other individuals in their network. With literally just one click of a button, one person can send a video or article you’ve created about your niche to thousands of people with little waiting time, and these individuals can in turn send that story to those in their network. Your branded authority site should have a Facebook Fan Page, a You Tube Channel and a Twitter account at the very least! When it comes to online marketing through social media, having your own profile page isn’t enough unless of course YOU are the brand! Creating a fan page is actually simple. Once you log in to your account, head over to the “Create Page” application and then fill up the online form in order to generate your own fan page. Choose a good name for your fan page. Make sure that you name your fan page well. This doesn’t just refer to what will appear on the banner of the page, but also to the actual URL of the fan page. Choose a name that is easy to remember so that your readers won’t have a difficult time in remembering what the address is if they want to visit it. A good name is probably going to be your brand or domain. A picture does paint a thousand words, and it will also give visitors an idea about what the page is about even without having to read through mounds of text. Make your fan page informative. Content doesn’t just mean news and information (although those are certainly important). It also includes photos, videos, and other such files that will help you draw the attention of your target audience. Make sure to post updates regularly on to your fan page. This can be done automatically with the plugin above. Once you’ve created your fan page, be prepared to manually invite people to become followers of your page, at least, at the beginning. After all, no one knows who you are yet, so it is important that you take the initial steps to reach out to your target market. Look for people who belong to the demographics that you want to tap into. The beauty about Facebook is that it allows you to find these people quite easily. Send them an invitation to “like” your fan page. You may also want to get your family and friends involved in helping you market the page at the beginning so you can steadily build the number of followers you have. The “Like” button is easily the well-loved feature on Facebook, so it makes sense that you integrate it on to your website. The beauty about adding the “Like” button to your own site is that not only will you be able to know what topics your readers will be most interested in, you will also be able to receive mileage from those who have “Liked” your posts. 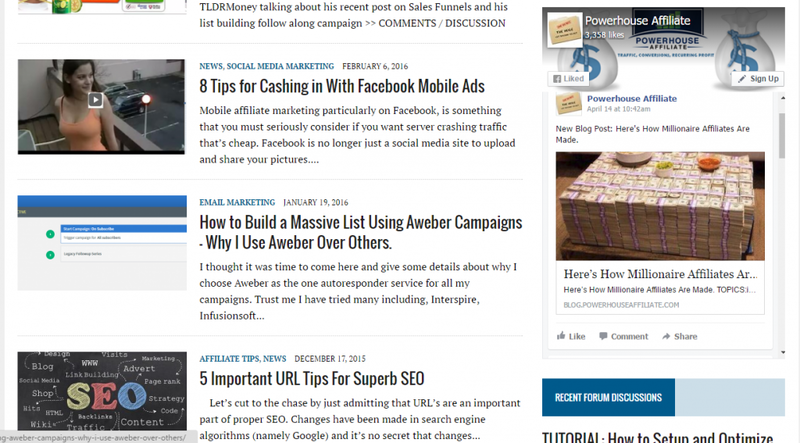 As you can see on our blog we even added it to our sidebar. Any “Likes” made by people on your posts will automatically be displayed on their wall, which means that people in their network can also be enticed into going to your website and reading what you have posted. What’s great about adding the “Like” button to your website is actually easy to integrate to your website. In fact, Facebook itself has made these little thumbs-up button available to just about anyone and everyone who owns the website, by introducing a plug-in that allows users to implement this button to their own site. Facebook Groups is actually the predecessor of the Facebook Fan pages. While it’s true that Groups does not provide as much interactivity and flexibility compared to fan pages, these still have a certain appeal, especially if you’re interested in developing a community within Facebook. Another great feature of Facebook that you can use to your advantage is Events. When you create a Facebook event, what you will essentially be doing is creating an interactive guest list where invited people can actually talk with each other, swap photos, videos, and links, and just about all of the other features offered by Facebook Groups. This can be a very good marketing tool if you’re planning on using this to promote a sponsored party, since this can create buzz about the event and make people excited about what they can expect from the party that you will be throwing. Furthermore, it also allows them to interact even after the event takes place, which can provide good marketing opportunities. Finally, hosting an event can also provide you with the opportunity to meet your client base face-to-face, which can also open several doors when it comes to marketing opportunities. Lucky draws are always a good choice, as are contests that allow other members to vote on which entry they feel deserves to be the winner. These contests are easy to hold and easy to manage, so you shouldn’t experience that much difficulty in managing these. You don’t even have to spend a lot on the prizes you will be offering. Small tokens or great deals may be all you need to give away as prizes. In exchange, you can potentially enjoy several benefits, including, including creating buzz among your target audience regarding your company, building customer trust, and encouraging interaction between you and your followers. All the promoting in the world won’t save a YouTube channel with boring content. Sure, you may get some initial views, but in order to gain and retain an engaged audience, you need to make sure you routinely deliver informative, high value content. The kind of content will depend on your business and what appeals to your target audience. The key is to find a way to separate yourself from the pack. What is your unique selling proposition, and how can you showcase it through video? Then, it’s a matter of designing a strategy specifically for your YouTube channel. Decide what subjects you want to focus on, and lay out timeline for filming, uploading and promoting each video. We don't have specific courses on YouTube but you should definitely visit YouTube and search for ways to get traffic from you tube, as there is a ton of great content on how to get more views and clicks to your site. Our next course will be about setting up your opt-in pages or "squeeze-pages" and building an email list. These will be the same optin pages used in the paid traffic campaigns. Once you’ve built your email list, you can contact people whatever information is helpful to your business. I currently have over 75,000 emails in the "make money online" niche alone. This means I can send these people valuable content and get free traffic form them whenever I chose to send out emails. If you aren't good at making videos you can get them done at fiverr.com for fairly cheap. When people feel connected to your business, they are more likely to establish a relationship of trust and you will appear more credible if your video is created well. Video is one of the most effective ways to get free traffic to your website at the moment as social media platforms are placing a huge emphasis on this medium of engaging content. Who doesn’t like free stuff? This is the perfect way to get people sharing your content. This is a great option to get free traffic without appearing too “salesy”. Answer a list of commonly asked questions about your niche sand share it in existing Facebook groups or Forums. There are likely Facebook groups already online that are catered to your niche. Join them and engage and sometimes you can get away with subtle mentions of your niche blog. If you want recurring free traffic to your blog or website then make it simple for your readers (and customers) to subscribe. That way they can continue to be in the loop with all the happenings going on in your site. Guest posting is a smart way to get your name out there and grow your audience. You gain additional referral traffic from readers clicking on links that lead back to one of your articles. You also gain credibility/authority by posting on other authoritative sites (you become a source of information on a particular topic). The truth is some people just don’t like to read. If you are making videos it is easy to convert them to a podcast and blog post. This way you are potentially reaching more people. Some people only watch video, some people only read blogs, some people only listen to podcasts. You can kill 3 birds with one stone. I do this a lot. Creating an ebook is not only a great way give your readers content and you gain credibility, widen your audience, and cultivate a relationship with lifelong followers. Again everybody loves free, so why not create an email course that provides valuable content in your niche but will also hook your reader to want more. You can start sending these people to your blog posts later. A LinkedIn profile is another fantastic way to get more traffic to your website or business. Simply make sure your profile has keywords scattered throughout so you’ll more frequently show up searches. If your business has a lot of stuff that is better through imagery Instagram is the perfect tool for you to promote your business. Pinterest is another good way to get your content in front of hundreds of thousands of people without ever paying a dime. On the DayJobHacks.com blog I used a free WordPress plugin (Social Warfare) to add these buttons to my posts. What could be easier than having your audience promote your business for you? I actually do this a lot. It works well especially in my niche since I have a ton of people always asking me - "why did you quit your 2 jobs?" or "How can you afford a boat with no job?" and I say - here is a business card check out my site where I tell people how I built a 7 figure income online. Google, Yelp, Yahoo, Bing, White Pages, Yellow Pages, Manta are just a few of the many places you can list your business or website. SEO pays off in the long run. I have one niche site that I paid one guy $2000 to do all the SEO for me. It may take some work to rank high on SERPs, but once you do, loads of people will discover your website. That site has been making about $500 a month for over 3 years just in Adsense revenue. As you can see I made all my initial money back and much more. The key is though I still have to create some new content every once in a while to keep those rankings. So I actually hired a writer to do posts for $15 each once a week. It is still a very profitable venture and I make more money from the affiliate offers inside most of those blog posts. This is another way to get free traffic if people like your content and it continues to circulate. This concludes the first course of Powerhouse Affiliate Free Starter Training. This is all about building your "foundation". We haven't even scratched the surface on how to generate massive online commissions online, but you now are equipped to start building your own branded authority niche site. As we continue throughout the PREMIUM training we will start building more components including the email capture capability, landing pages and eventually a complete funnel so that you are ready to take your business to the NEXT LEVEL! We will also cover more advanced tracking and "affiliate arbitrage" in our advanced training courses.